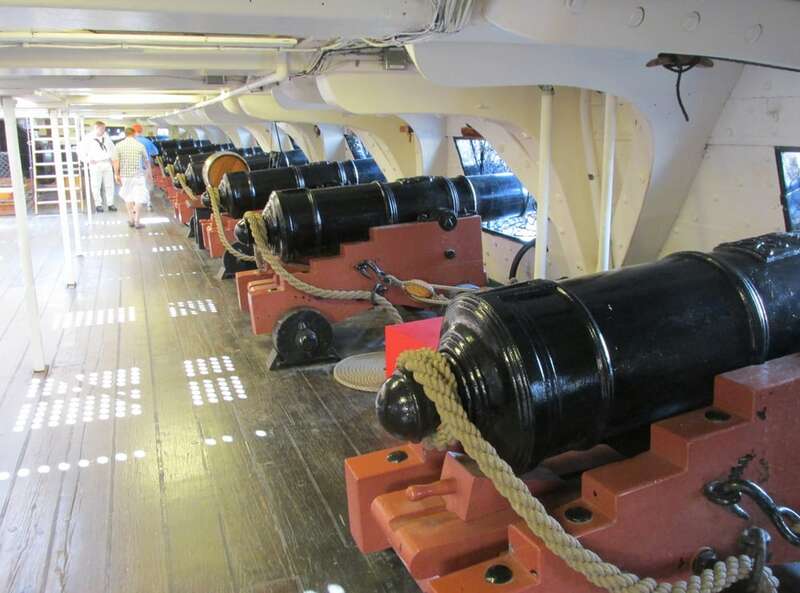 The USS Constitution Museum serves as the memory and educational voice of USS Constitution, by collecting, preserving, and interpreting the stories of “Old Ironsides” and the people associated with her. We seek to create a positive, memorable experience for both children and adults by inspiring within them a love for the freedom that Constitution symbolizes. We will share Constitution’s contributions with a global audience, and we will strive to be the best museum possible based on scholarship and innovative ways of sharing Constitution’s stories. 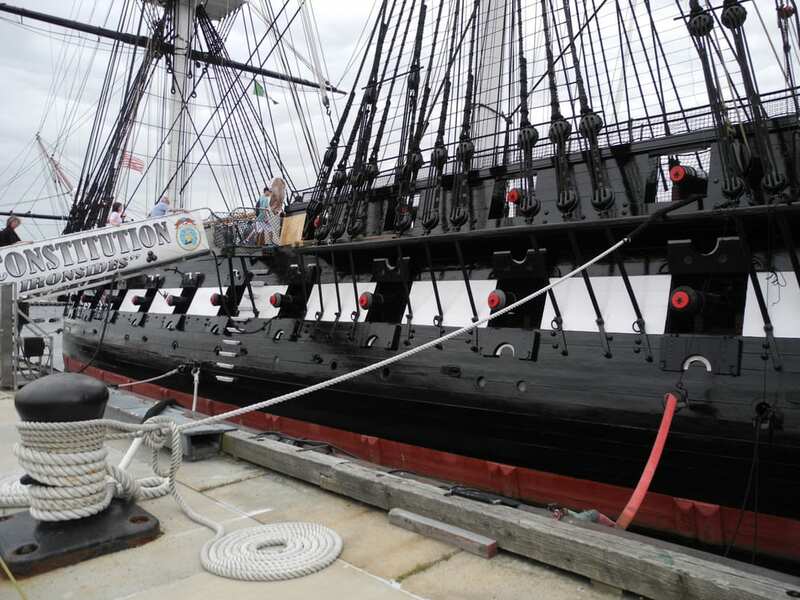 The USS Constitution Museum ensures that the stories of USS Constitution and those who shaped her history are never forgotten, always remain relevant, and inspire as many people as possible. The Museum will provide a hands-on, minds-on environment where inter-generational groups seeking an enjoyable, educational experience can have fun and learn as they explore history together. 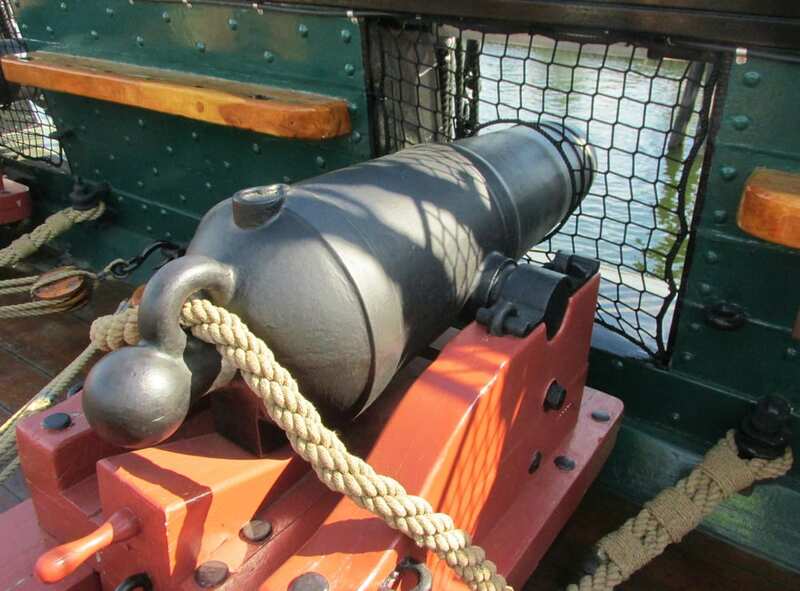 As the memory and educational voice of USS Constitution, the USS Constitution Museum preserves, displays, and interprets artifacts and archival material related to the Ship and her crew through interactive exhibitions, compelling programs, and engaging outreach initiatives. 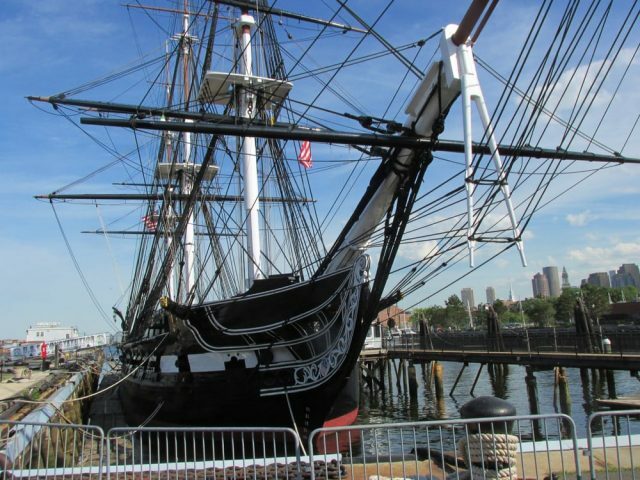 The Museum was incorporated in 1972 as a private, non-profit and non-government funded interpretive complement to USS Constitution, an active-duty US Navy vessel and the oldest commissioned warship afloat in the world. This allowed the Navy to clear Constitution’s decks of display cases so that visitors could see the Ship as a sailing vessel, rather than as a floating museum, and for artifacts to be cared for in proper environmental conditions. 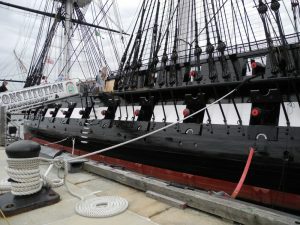 On April 8, 1976, naval historian Samuel Eliot Morison cut the ribbon to open the Museum to the public in its present facility in Charlestown Navy Yard’s Building 22 (the old pump house for Dry Dock #1), located just across the pier from “Old Ironsides.” Since opening, the Museum has doubled in size and quadrupled in visitation! Working with the National Park Service, the Museum expanded into two adjacent buildings and built a connecting corridor in the mid-1990s. In 2001, the Museum completed renovations on a new state-of-the-art collections storage facility and research library. Today, over 300,000 people visit the Museum each year to learn, explore, and research, making it Boston’s fourth most visited museum (source: Boston Business Journal). The Museum works hard to reach beyond its walls and provide engaging educational experiences to audiences across the nation. 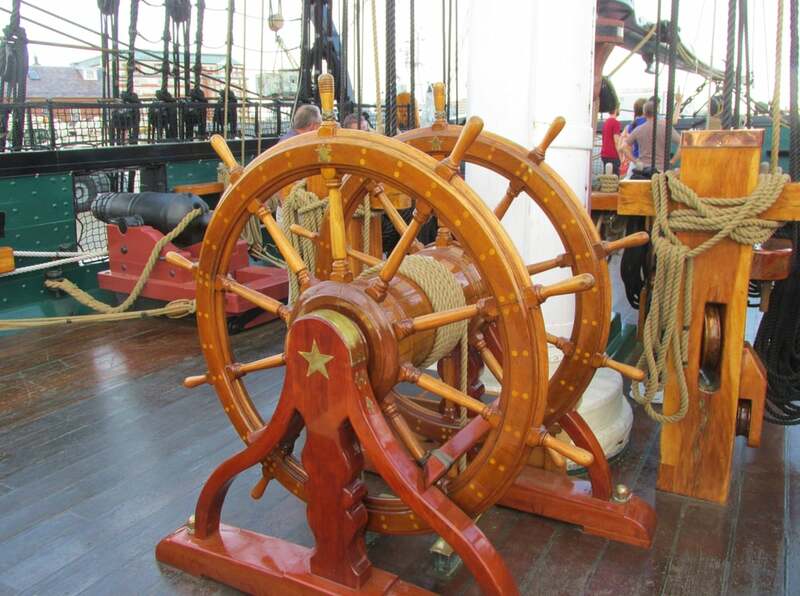 For over a decade, the Museum has provided its award-winning All Hands on Deck curriculum free of charge to teachers and homeschoolers in all fifty states and twelve foreign countries. 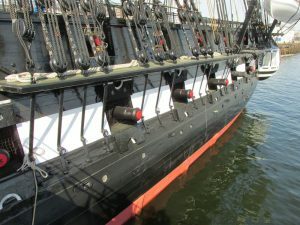 Between 2000 and 2009, Museum staff and Navy personnel took the stories of Constitution and her crew to students and citizens across the country through an innovative program called “‘Old Ironsides’ Across the Nation.” This pioneering model earned the USS Constitution Museum one of only three National Awards for Museum Service in 2003. With the assistance of the Institute of Museum and Library Services, the USS Constitution Museum initiated the Family Learning Project in 2004 to search for a more engaging exhibit format for history museums. Since then, the Museum has established itself as a leader in the family learning field, developing online resources, hosting workshops, and sharing its research with museum professionals across the country and around the world. The Family Learning Forum, an online repository and discussion space for museum professionals, offers scholarship, exhibit and program ideas, tangible takeaways, success stories from other institutions, and evaluation strategies designed to help museums encourage family learning and conversation in exhibits and programs. In July 2009, the Museum opened All Hands on Deck: A Sailor’s Life in 1812, a ground-breaking exhibit based upon family-centered design principles that bring children and adults together and serve a broad range of learning styles, knowledge and ages. The product of over ten years of research, development, and testing, the exhibit features newly-unearthed stories of the Ship’s 1812 crew and presents them in a dynamic, participatory format that serves as a model for other history museums to use in years to come. Instead of using walls of text to tell the stories, the exhibit uses interactive adventures combined with images, sound, theatre, artifacts and physical and mental tests. These methods foster discoveries, spark conversations between family members, and provide for more memorable and enjoyable museum experiences. ship closed, museum open 9:00 a.m. – 6:00 p.m.
2:30 a.m. – 4:00 p.m.